For a philosopher to continue to elicit discussion and debate after twentyfour centuries speaks volumes about the profound influence of his ideas on human development. The volume of work attributed to Plato eclipses those who preceded his era and formed the basis of science and Western philosophy in the centuries to follow. 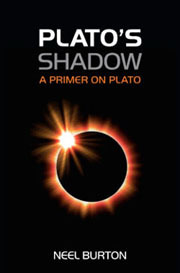 Plato's Shadow: A Primer on Plato provides a useful reference point for study of the dialogues and letters ascribed to Plato. It offers a succinct overview of each dialogue while acquainting the reader with the philosopher's life and times. Neel Burton's Primer on Plato is unique by treating each work separately, summarizing their principle themes while preserving the aesthetic and emotional appeal of the original texts. 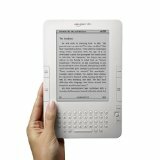 The well written and accessible style of Plato's Shadow engages the general reader who is encountering the unrivalled scope and incisiveness of the works for the first time. By the same token, students and scholars benefit from the book's precise structure as a preliminary step before delving into any one of the dialogs. The range of Plato's dialogues extends human thought far beyond the realm of everyday experience. Plato is never a participant in any of his dialogues, which are often narrated by his mentor Socrates, or presented in dramatic form, leaving readers free to absorb a variety of perspectives and to arrive at widely differing conclusions. Plato conceived philosophy as a means to true understanding, often denying the reality of the material world by arguing from the perspective of Socrates in his earlier dialogs that knowledge is a matter of recollection, or divine insight, rather than the result of empirical observation. By delivering a comprehensive overview of the immense range of thought represented in these writings, Plato's Shadow: A Primer on Plato is an excellent addition to every library. As a physician and author, Dr. Neel Burton emphasizes important areas of medical science that address the very essence of what it is to be human. His acclaimed book, Psychiatry emphasizes values-based practices that form an important part of medical training, where doctors require an understanding of their own psychological, cultural, and spiritual assumptions in order to practice in a multicultural society.